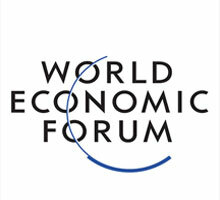 The World Economic Forum’s (WEF) annual meeting that ended on Saturday 25th January, has unveiled a report* – published by WEF in partnership with Ellen MacArthur Foundation and McKinsey & Company – exploring how there should be a shift away from ‘old-style sustainability’ towards a ‘circular’ approach, which reduces the dependency of economic growth on resource consumption. While some people have suggested that creating a circular economy will be difficult, Askar Sheibani, CEO of IT and telecoms repair company Comtek, believes that there are small but significant steps businesses should already be taking, such as repairing equipment to enable re-use. Sheibani argues that businesses need to change their mindset towards repair, which is at present holding back the economy from making huge savings and is damaging our environment. “I am delighted by the World Economic Forum’s considerations around a circular economy, not least because it supports what I have been campaigning about for many years; that repair and reuse are the only way forward in today’s global economy. With resources becoming scarcer, such as Rare Earth Materials, we need to move away from the current attitudes towards consumption and disposal, and rather, utilise the potential left in the devices and equipment we no longer use. This will reduce costs for businesses, benefit the environment and generate economic growth from the resources currently in circulation. “With new products in constant production and manufacturers encouraging businesses to buy ‘new,’ it is becoming increasingly hard to track the valuable materials used in products. Eradicating toxic substances from these products is also becoming increasingly difficult and, as you can imagine, when they are disposed of they become extremely harmful and damaging to the environment. Businesses may think that they are buying ‘greener’ products, but in fact, they are doing more damage to the environment, if only because it means ignoring the value they have in current assets.